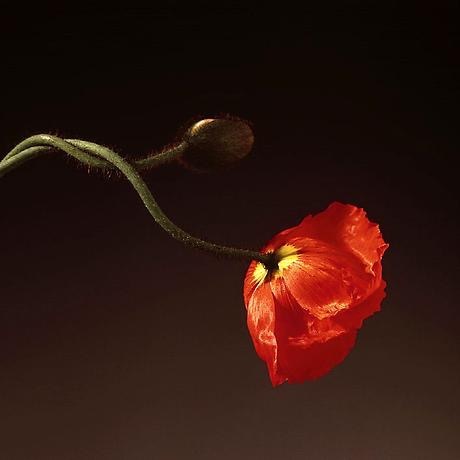 Robert Mapplethorpe (American, 1946-1989): Poppy, 1988. Gelatin silver print. Courtesy of the Los Angeles County Museum of Art and The Getty Research Institute Collection. © Robert Mapplethorpe Foundation. 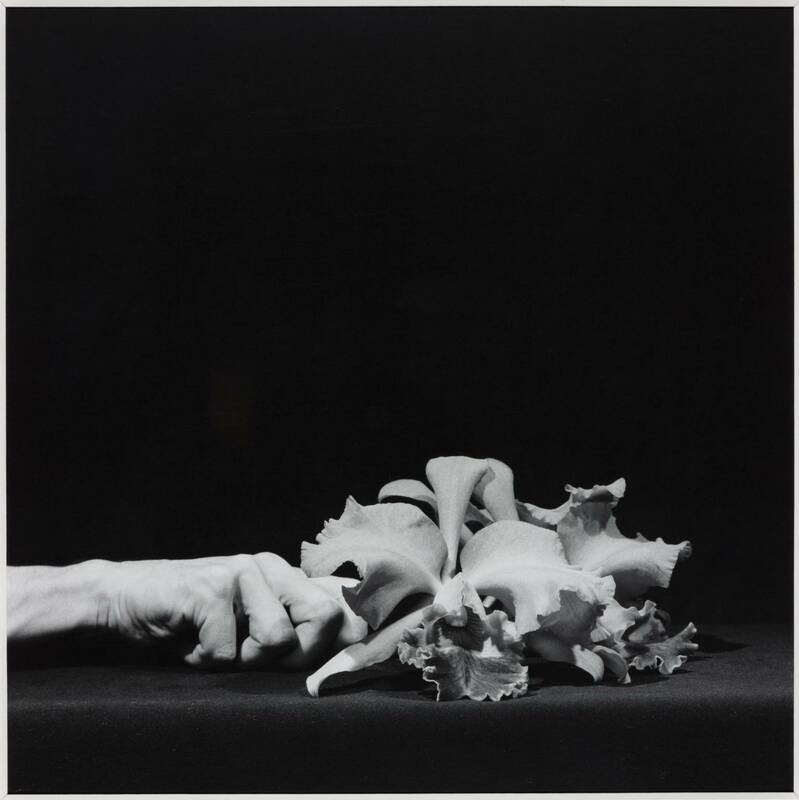 Robert Mapplethorpe: The Perfect Medium is a major retrospective drawn from a 2011 joint acquisition of the artist’s massive archives by the Los Angeles County Museum of Art and the J. Paul Getty Museum. Presented simultaneously at both museums, the show features highlights from the 2011 joint acquisition. Later in 2016, the entire show will merge and travel to Montreal, then Sydney. 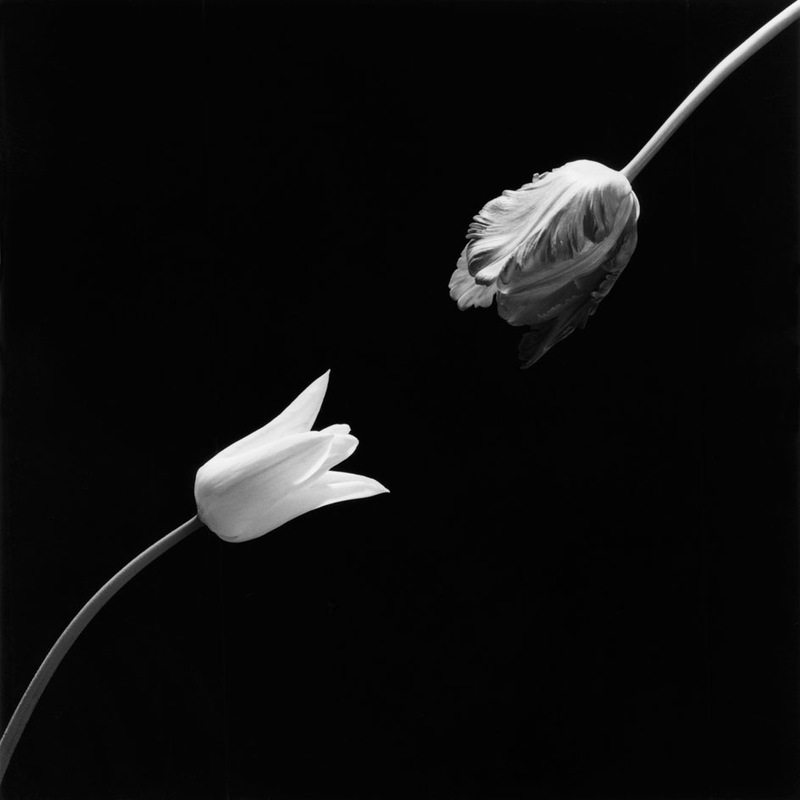 Robert Mapplethorpe (American, 1946-1989): Tulip, 1984. Gelatin silver print. Courtesy of the Los Angeles County Museum of Art and The Getty Research Institute Collection. © Robert Mapplethorpe Foundation. 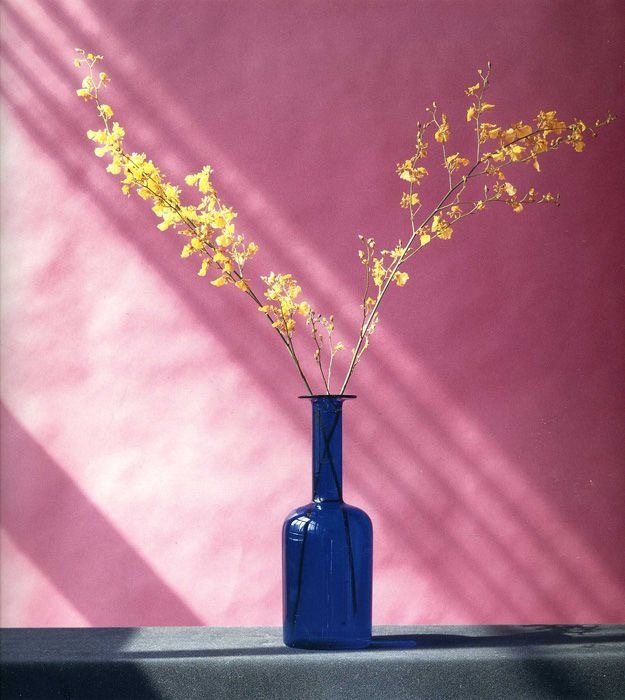 Robert Mapplethorpe (American, 1946-1989): Flowers, 1982. © Robert Mapplethorpe Foundation. 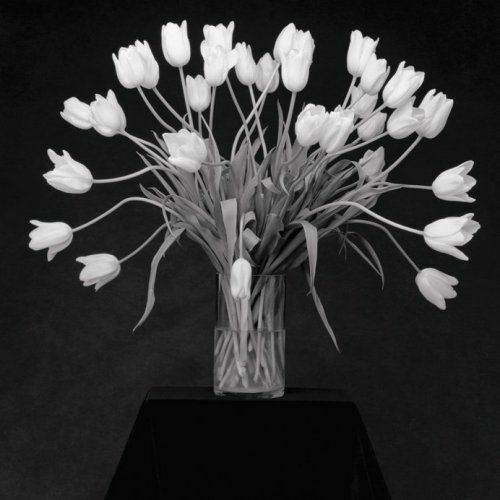 Robert Mapplethorpe (American, 1946-1989): Tulips, 1988. © Robert Mapplethorpe Foundation. 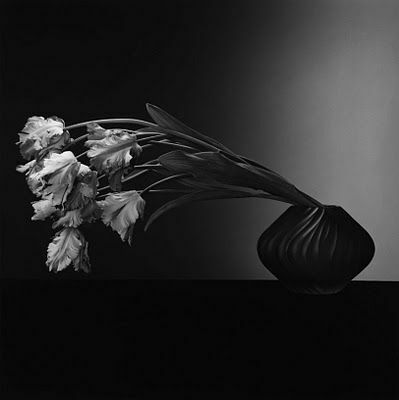 Robert Mapplethorpe (American, 1946-1989): Tulips, c. 1984. © Robert Mapplethorpe Foundation. Robert Mapplethorpe (American, 1946-1989): Orchid and Hand, 1983. Gelatin silver print, 37.3 x 37.5 cm. Tate / National Galleries of Scotland, UK. © Robert Mapplethorpe Foundation. 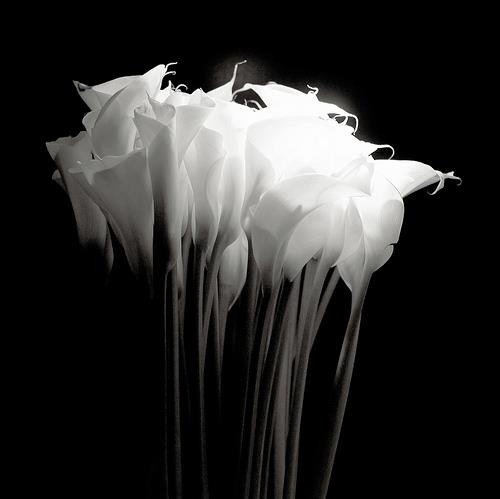 Robert Mapplethorpe (American, 1946-1989): Calla lilies, c. 1984. © Robert Mapplethorpe Foundation. 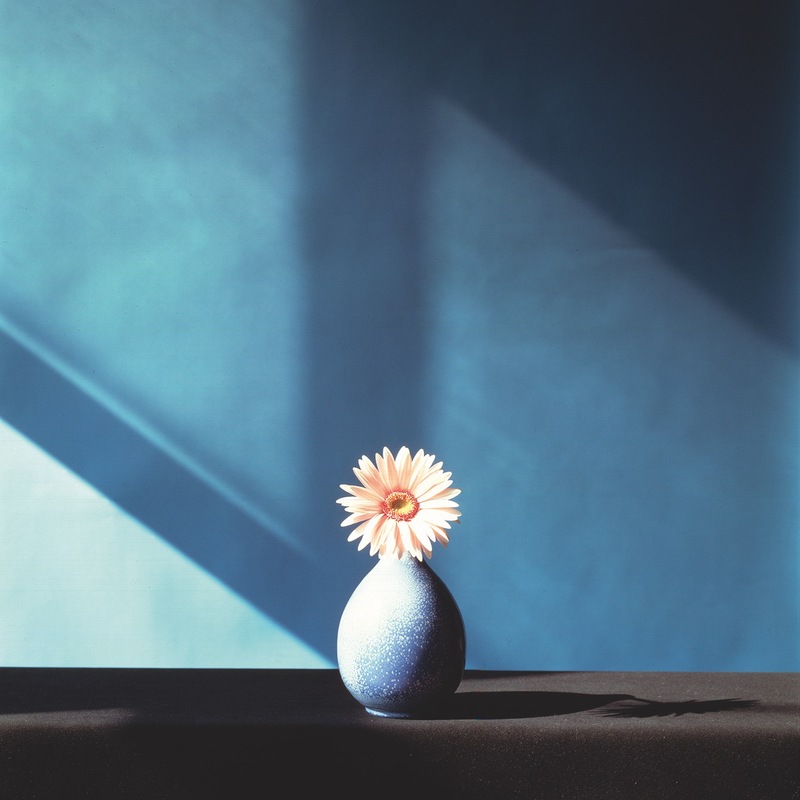 Robert Mapplethorpe (American, 1946-1989): African Daisy, 1982. © Robert Mapplethorpe Foundation. 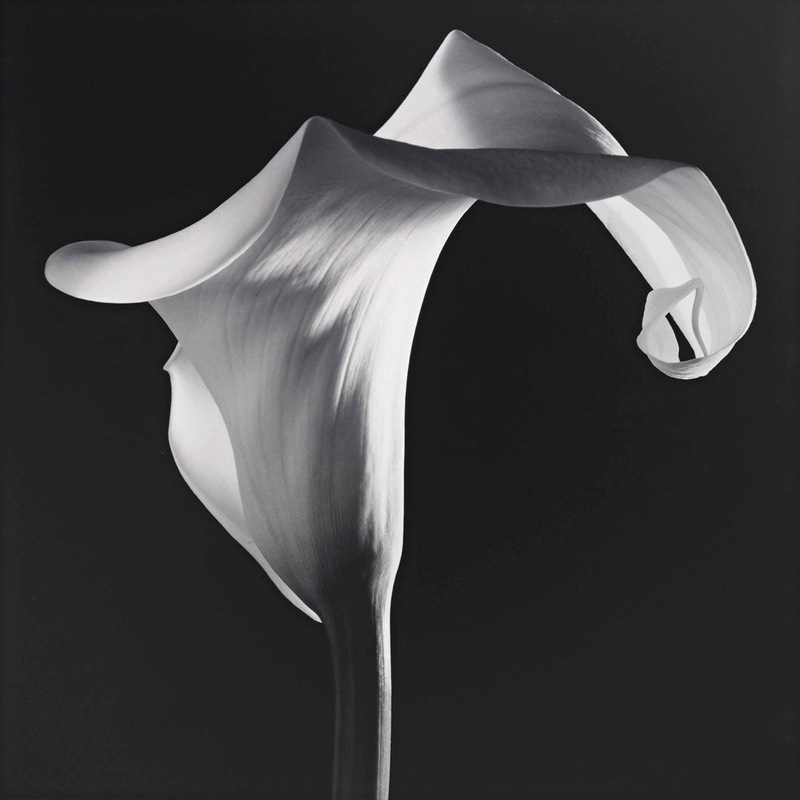 Robert Mapplethorpe (American, 1946-1989): Calla Lily, 1988. © Robert Mapplethorpe Foundation. Art Basel is well underway. 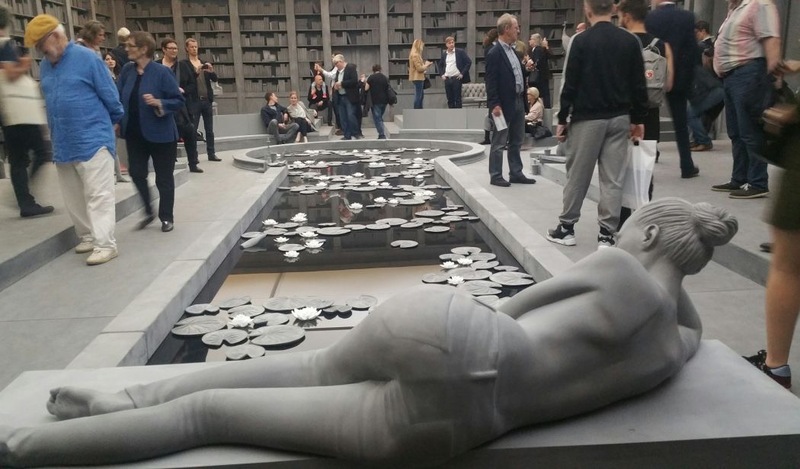 The art world’s 47th incarnation of its most prestigious fair, boasts over 280 booths from 33 countries and represented are over 4,000 artists. It is a huge global affair. 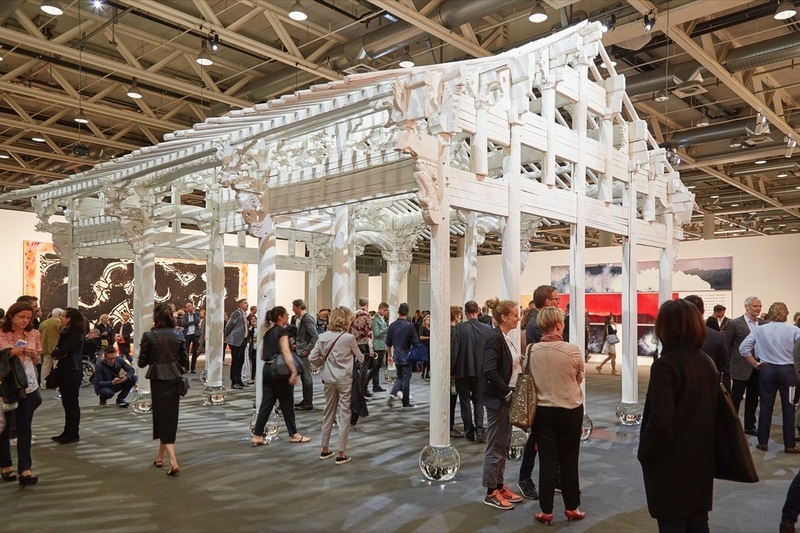 Word is, that despite some poor economic indicators leading up to this 47th Art Basel event — particularly the disappointing New York spring auction results — and global economic and political uncertainties, overall sales are strong. Reportedly, there is a notable increase in active Asian collectors. For top collectors and connoisseurs, it remains the place to be. 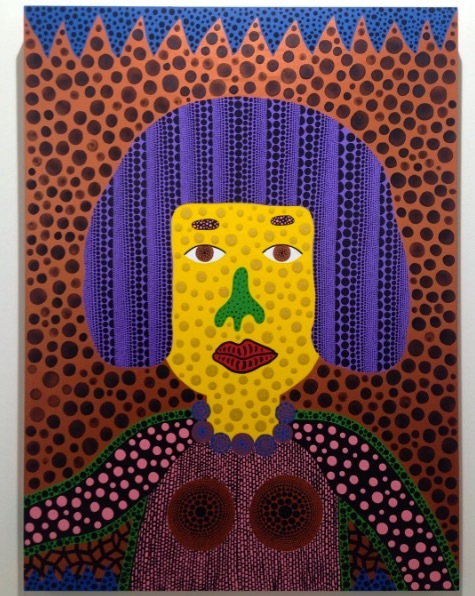 Yayoi Kusama, Self-Portrait, 2016. Via Andrea Nguyen for Art Observed. Kirstin Bartsch: Unstable Talismanic Rendering [Psychotrops] (with gratitude to master marbler Dirk Lange), 2014. Gavin Brown booth. 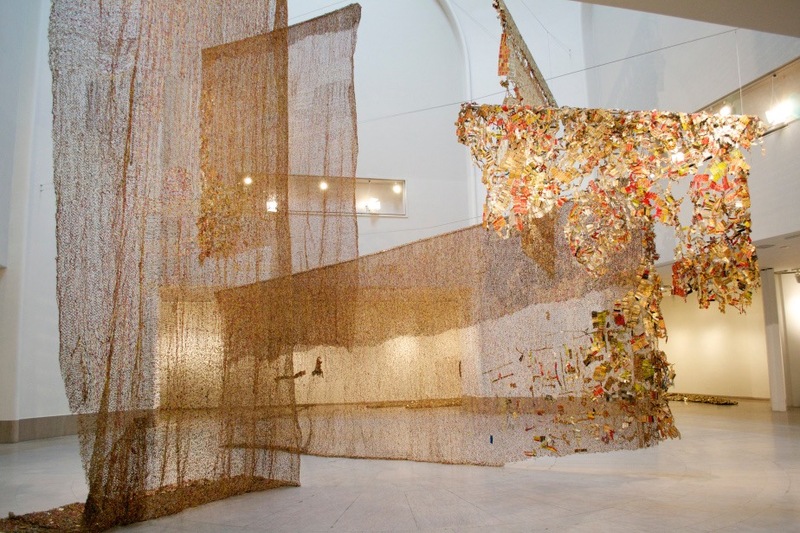 El Anatsui (Ghanaian, Sculpture, b. 1944): Gli (Wall), 2010. Five hanging curtains of found aluminum and copper wire. Art Basel 2016, Basel, Switzerland. 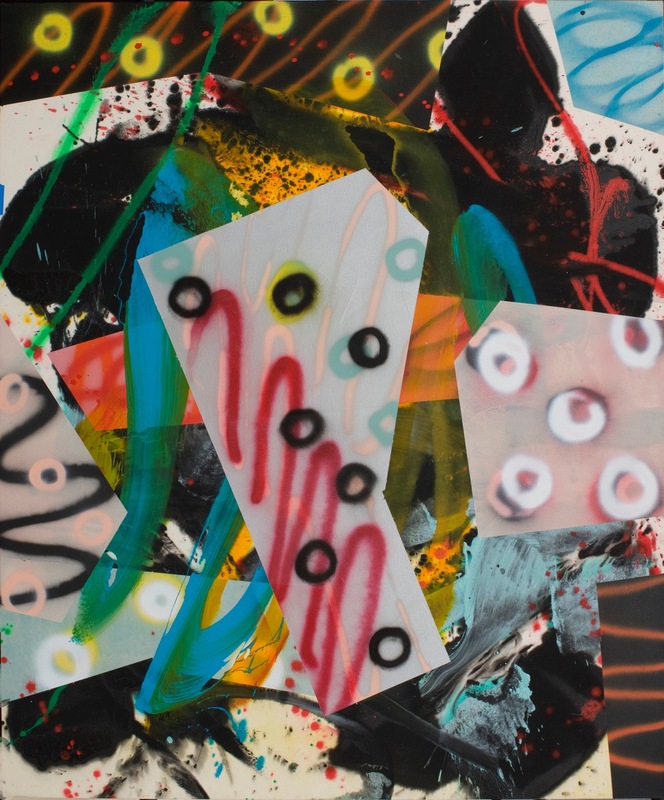 ‘Unlimited’ sector, represented by Jack Shaman Gallery, New York, NY, USA. Frank Stella, Damascus Gate (Stretch Variation I), 1970. Via Andrea Nguyen for Art Observed. Ai Weiwei, White House, 2015. Presented by Neugerriemschneider at Art Basel Unlimited, 2016. Photo by Benjamin Westoby for Artsy. And so commences the artwork that flows from the hand and vision of László Fehér, iconic Hungarian artist. He is among the most important Hungarian artists and noteworthy among the resurgence of figurative artists. His ability to distill transcendent moments from life’s “series of banalities” is staggering. Merging form, figuration and abstraction with profound social and moral sensibilities, his deft hand works visual magic. László Fehér (Hungarian, b. 1953): Gigi, 2002. Oil on canvas, 160 x 220 cm. © László Fehér. László Fehér (Hungarian, b. 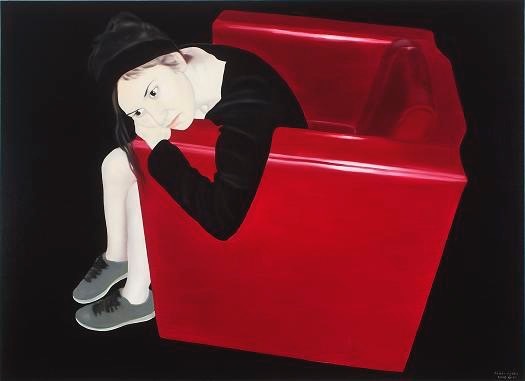 1953): Judit in Red Armchair, 2006. Oil on canvas, 160 x 220 cm. © László Fehér. László Fehér (Hungarian, b. 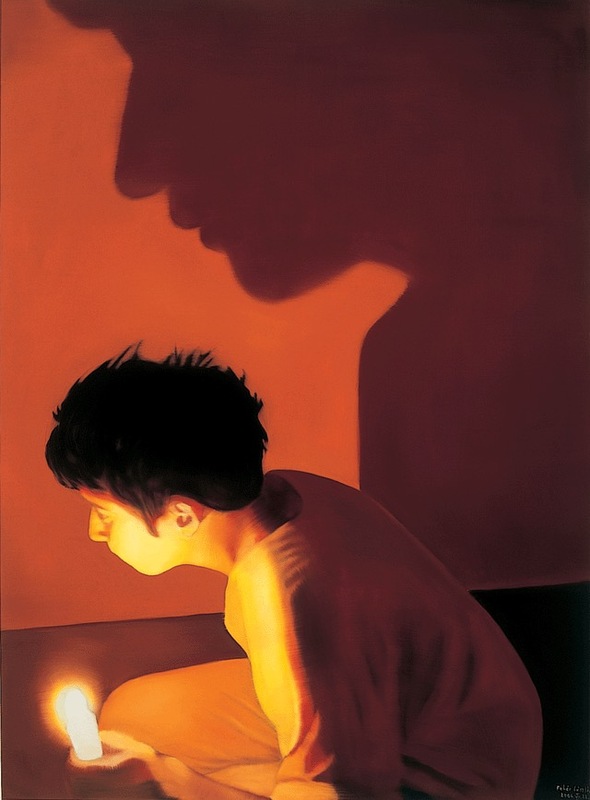 1953): Judit with Candle III, 2004. Oil on canvas, 220 x 160 cm. © László Fehér. László Fehér (Hungarian, b. 1953): On the Stairs, 2000. Oil on canvas, 207 x 180 cm. © László Fehér. László Fehér (Hungarian, b. 1953): Water Mattress, 2008. Oil on canvas, 160 x 220 cm. © László Fehér. László Fehér (Hungarian, b. 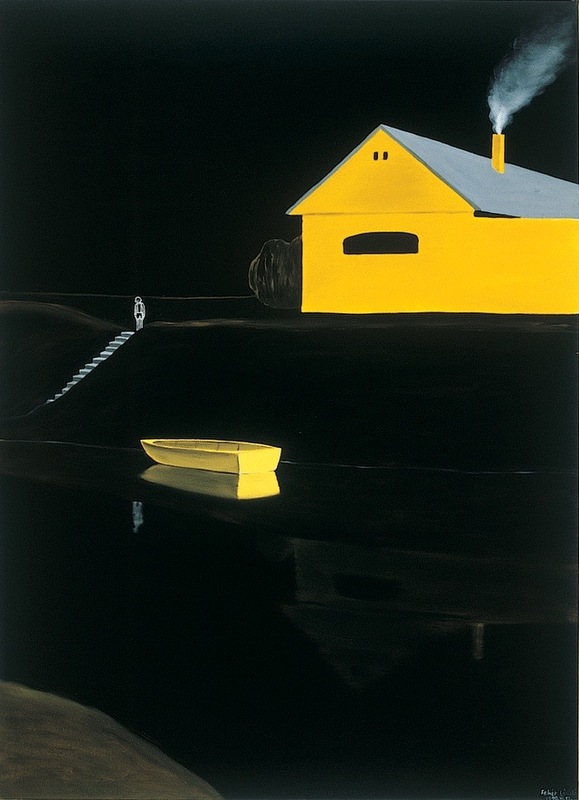 1953): Yellow Boat, 1990. Oil on canvas, 220 x 160 cm. © László Fehér. I Require Art: A strong sense of emotion, isolation, of moments floating in time, permeates your work. These sensibilities, tightly focused through a visual lens of aloof, flat, reduced imagery, create a riveting and dynamic visual poetry. I am mesmerized by your artist’s vision and aesthetic. Where are these sensibilities rooted? László Fehér: My childhood is the most memorable experience of my life. As children we are completely one with ourselves, and we can draw upon these experiences as long as we live. I was born into a great and strong repressive dictatorship that lead to the revolution of 1956, then after its defeat there followed a slightly less repressive dictatorship of another kind in which I lived until the democratic changes of 1990. Let me relate to you one of the fundamental stories of my childhood. I was five at the time and I loved to sit by the shore of the lake, which was one of the most important places for me as a boy. I liked to sit and watch as the light plunging into the water multiplied the infinite vistas. Once as I was sitting there, an old man, Uncle Miklós Boda, an old friend of the family, asked me if I’d like to go with him in his boat to haul up the fish traps. We got in the boat, rowed into the middle of the lake and hauled up the first trap. It was teeming with fish. The smaller fish wriggled about merrily, while the big and noble long pike died, its glassy eyes turned to the sun. When we hauled up the second trap, the same thing happened again. When we hauled up the third trap, I couldn’t restrain myself anymore and asked, tell me, Uncle Miklós, how come that the smaller fish are splashing and wriggling about merrily here in the trap while this carp, it doesn’t even have to go hunting, it just opens its mouth and it can eat, and then this carp dies. Tell me please why this is. And then Uncle Miklós said, you know, son, the carp is different. The carp was born to be free. If it can’t be free, it would rather die. Memorable experiences like this came to define my thinking. They shed light on the political situation of the fifties in which I lived. 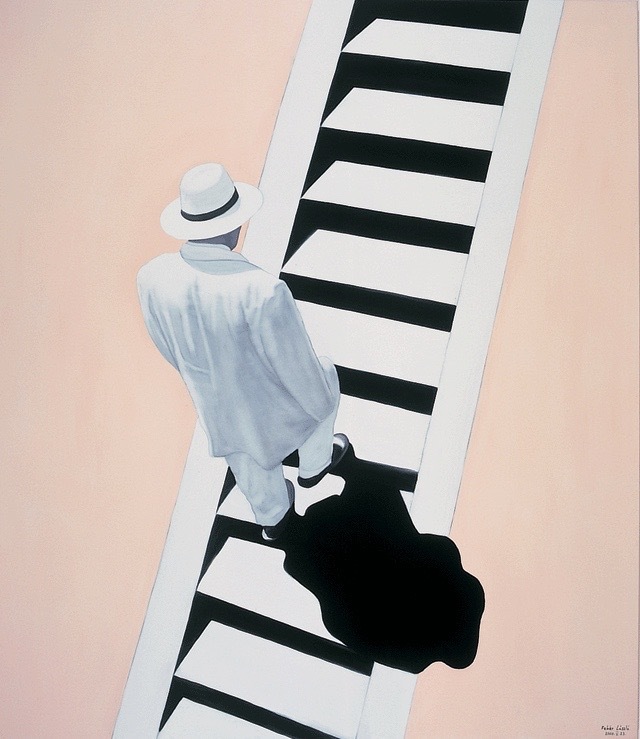 In fact, they shed light on the essence of human existence, which is also the essence of art. It’s called freedom. If an artist does not add something new to things, if he does not expand the concept of art, if he doesn’t create new ways of relating to things, then he in fact gives nothing and his mystical gesture remains of no importance from the point of view of art. My work to date can be divided into various periods. 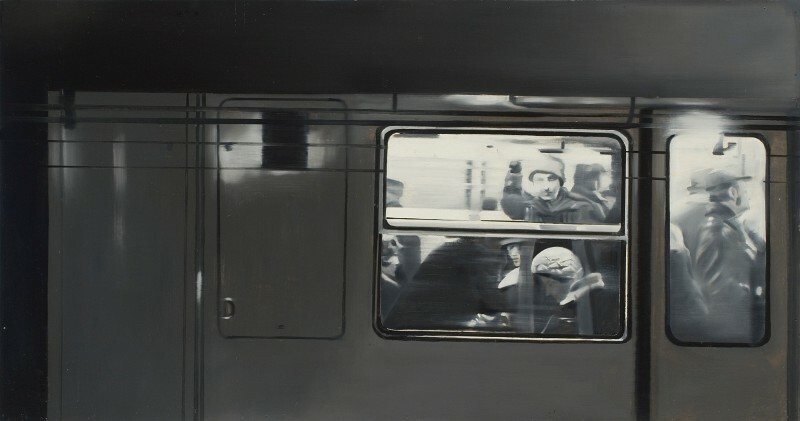 In 1974, when I was attending the Art Academy, I began painting hyperrealistic or photorealistic works. These were unabashedly sociological in intention. For example, based on some photographs I found in a shipyard newspaper I painted the outstanding workers of the month, thereby holding up a mirror to society. On other pictures I painted underpasses and trams. I worked mostly in gray and black colors. I considered there the colors of everyday life. The scene of these pictures, titled Underpass I, was the underground stop of the subway in front of the Academy. I made several photographs for the painting and spent a lot of time mulling over what I should do. Working in the studio of the Academy, I tried everything I could think of, but I couldn’t find a solution, and then in anger and frustration I threw one of the photographs on the floor and trampled it underfoot. When I took my foot from the photograph, there was the solution. 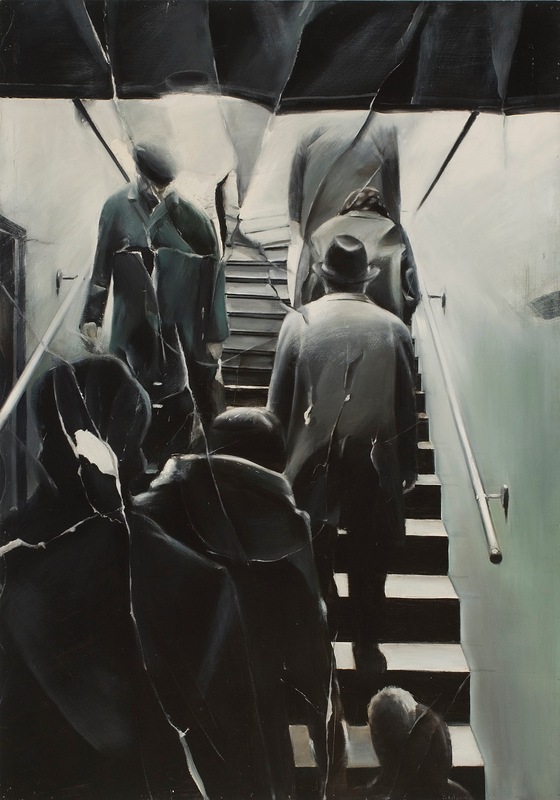 A crowd of humiliated human beings going up the stairs, creased and trampled underfoot. As far as I was concerned, this picture served as the case history of the state of things in the world in which I lived. I picked the picture off the floor and holding it in my hand as I worked, I painted it on a two and a half meter canvas. The result was that they withdrew all the benefits that came with attending the last year of graduate school, and after a couple of months I was called into the army, even though I was officially too old. László Fehér (Hungarian, b. 1953): Underground Passage I, 1975. Oil on wood-fibre, 241 x 170 cm. © László Fehér. László Fehér (Hungarian, b. 1953): Subway, 1976. 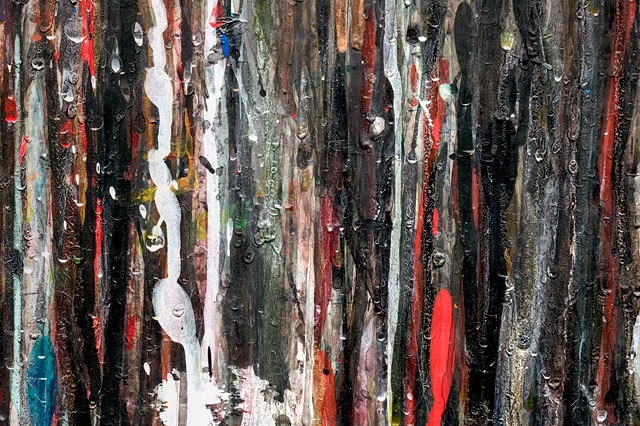 Oil on wood-fibre, 82,5 x 158 cm. © László Fehér. The second period began in 1981 with a trip to Switzerland. I might add that at the time you could go abroad as a tourist only every three years, and even then, you were subject to strict restrictions. Anyway, in Basel for the first time I came face to face with the outstanding accomplishments of modern art – the works of Matisse, Picasso, Chagall, which I saw at exhibitions. Their art veritably knocked me over and I felt I had to review the situation. I had to decide whether I should continue in the sociology based photorealist vein or change directions and attempt to find answers to the questions posed by art by going deeper and using a new vernacular or form. When I came home, I painted the Jewish holidays series, the Eight Days, Diaspora, and Holiday I and II. The paintings conjured up the Jewish holidays, Yop Kippur, Passover, and so on. 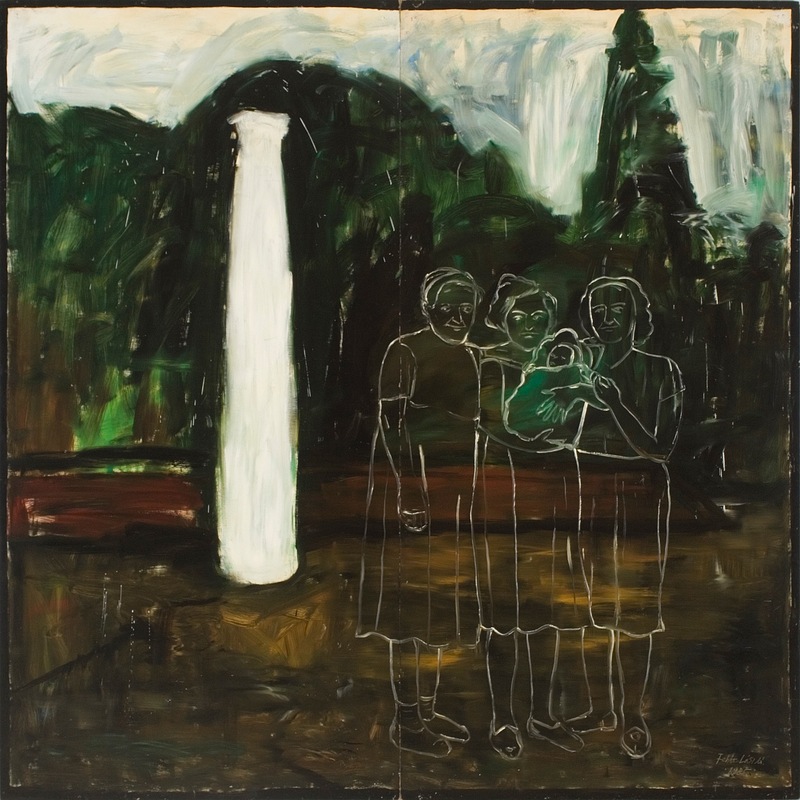 With these paintings I began orienting myself toward a new direction, which not much later led to the appearance of the so-called redrawn figures. This was in 1985. In my studio outside of Budapest I painted a large 2.5 x 2.5 meter realistic painting depicting my mother, my grandmother, and a lady, and they’re holding me in my swaddling clothes next to a column. When I finished the painting, I was terribly unhappy with it, and taking a rag, with a sweeping gesture I wiped off the figures. Their outlines remained, I added the surrounding landscape and emphasized the outlines of the figures with white. At that moment I knew that something had been decided. The figures were suffused with light and also the woods, and thanks to their silhouettes, the characters wrote themselves into the surrounding landscape as if they were signs made of light. I could also describe how the yellow and black period and the following periods came about, but it would take too long. László Fehér (Hungarian, b. 1953): Diaspora, 1982. Oil on canvas, 200 x 140 cm. © László Fehér. László Fehér (Hungarian, b. 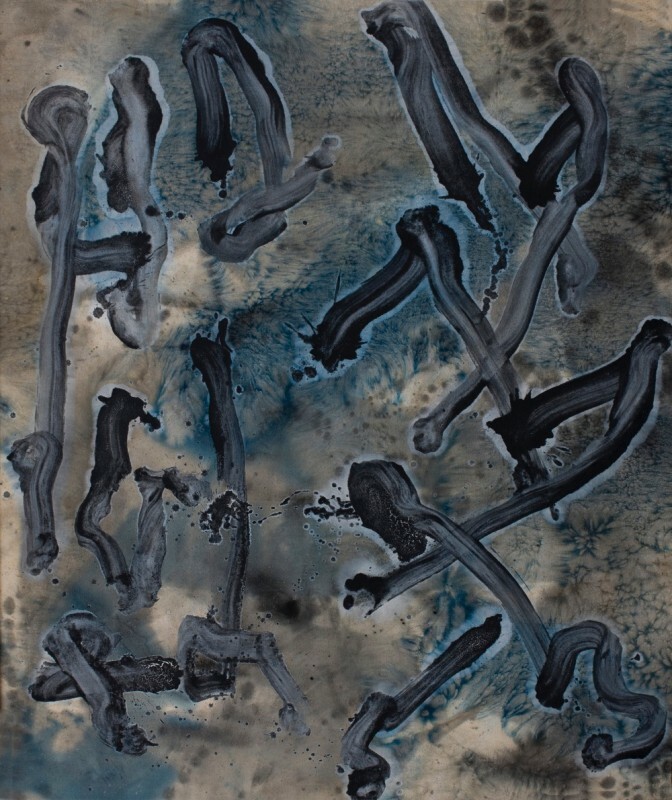 1953): Untitled (Mementos from Dég Series), 1985. Oil on wood-fibre, 250 x 250 cm. © László Fehér. László Fehér (Hungarian, b. 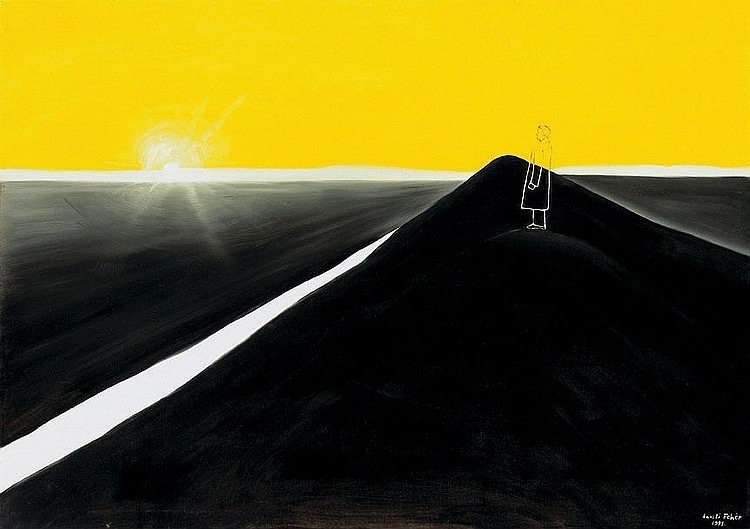 1953): Sun, River, Man; 1991. 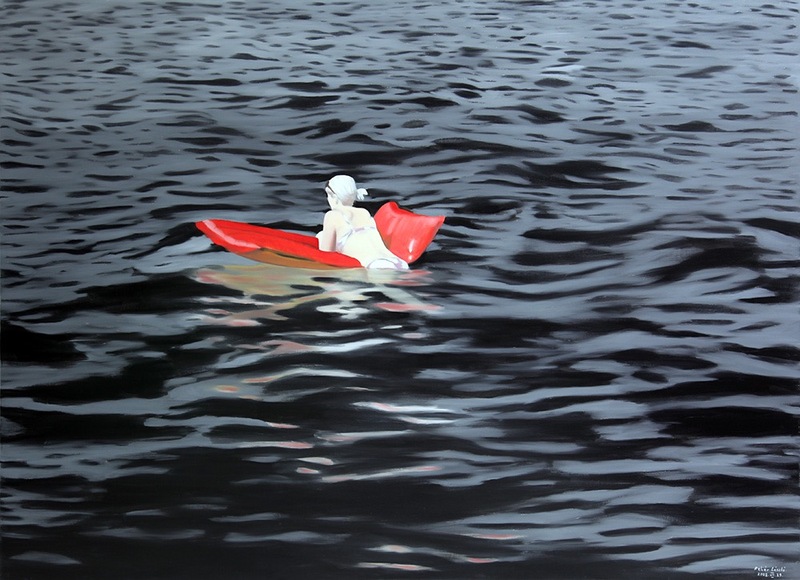 Oil on canvas, 120 × 170 cm. Private Collection. © László Fehér. 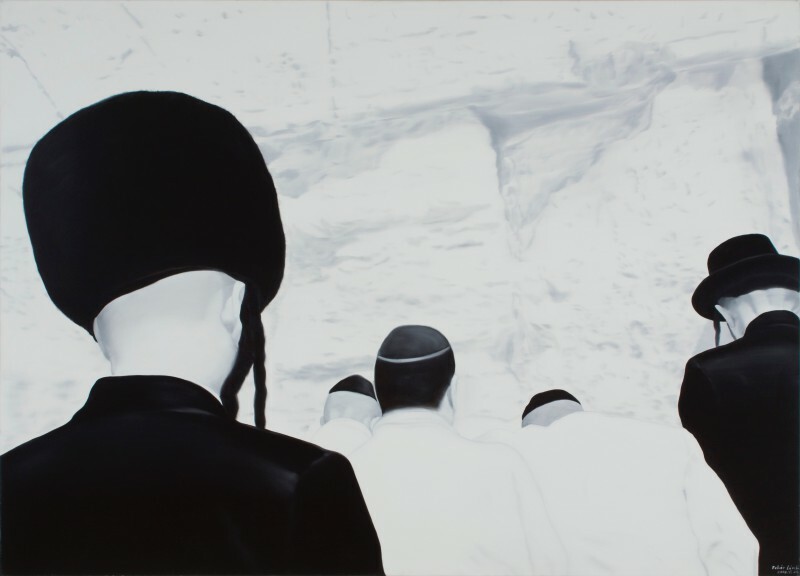 IRA: The noted art historian, Donald Kuspit*, connects some of this sensibility, particularly a keen sense of alienation in your work, to be reflective of the Jewish experience. What are your thoughts regarding this? IRA: What inspires and informs your work? My first trip to Israel was in 2000. We had been looking forward to this visit for a long time. In life, nothing happens by chance. Some artists spend years waiting, because they know full well that there is a moment that will bring about something extraordinary, when ordinary, tangible reality transcends into another sphere. We left for Israel just prior to Pessah of 2000. We wanted to celebrate my son’s Bar Mitzvah there in the company of our relatives – our present to him. We boarded the El Al plane loaded down with film, cameras, a video. Our arrival was profoundly touching. As we got off the plane, we were surrounded by an aura of excitement. I’m in the land of Israel! How often have a dreamed of this in the seventies, how often have I imagined this meeting as I was painting desolate, abandoned Jewish cemeteries in my studio at Tác. I had a lump in my throat, a feeling I cannot describe. I’d felt this way just once before. In the early nineties my son David and I went to hear an Israeli chorus at Kápolnásnyék. They sang about their homeland with deep feeling. I sat on the synagogue bench and cried, overwhelmed, and when I threw a sideways glance at my son, just seven at the time, I saw that he was crying too. The songs were in Hebrew. He couldn’t have understood the words yet, but he could feel them. This is the special feeling that has you in its grip as you arrive in Israel – the love of the homeland, which radiates from every pore. “I love you, beautiful Israel,” I heard myself exclaim. Then, having passed through narrow alleys, having pushed through crowds, we suddenly found ourselves in front of the Wall, where men in black kaftans and spodik were swaying back and forth, immersed in prayer. The crevices in the Wall were stuffed with small slips of paper bearing requests. My son went up to the wall. “I want to touch it,” he said. Wrapped in his tallit, he began to pray as I stood by, clutching my own request in my palm. László Fehér (Hungarian, b. 1953): Before the Wall, 2000. Oil on canvas, 180 x 250 cm. © László Fehér. 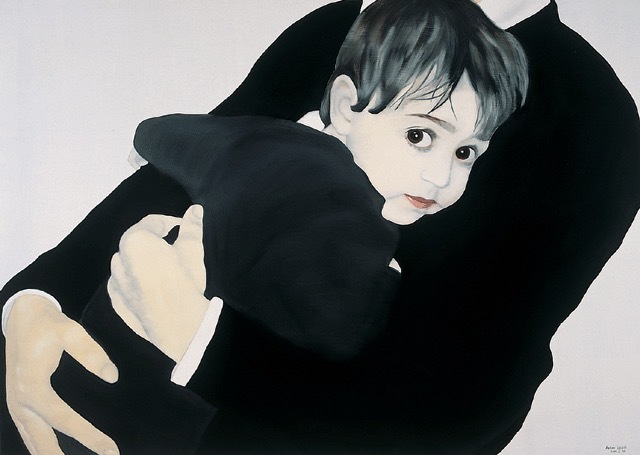 IRA: The sensitive paintings of your daughter, Judit, are remarkable. How much of your work is autobiographical? LF: The great majority of my paintings were inspired by my own life. After all, I am always relating my own story. I can speak most accurately and authentically about my own private world because, as I mentioned in the beginning of the interview, truth and freedom form the basis of my thinking. IRA: Can you tell us about your process? How is your work influenced by photography? LF: Before I start working on a painting, I plan every square centimeter in advance. I know everything down to the smallest detail. I often sacrifice painterly solutions for the sake of what I wish to say. Although I paint fast, I often let a theme mature for years, even decades before I launch into realizing it on canvas. I take a lot of photographs and then I use these photographs like notes. Sometimes I use photos from our old family albums as well and incorporate these into my work. This is what happened when I made the recent series of graphic works. László Fehér (Hungarian, b. 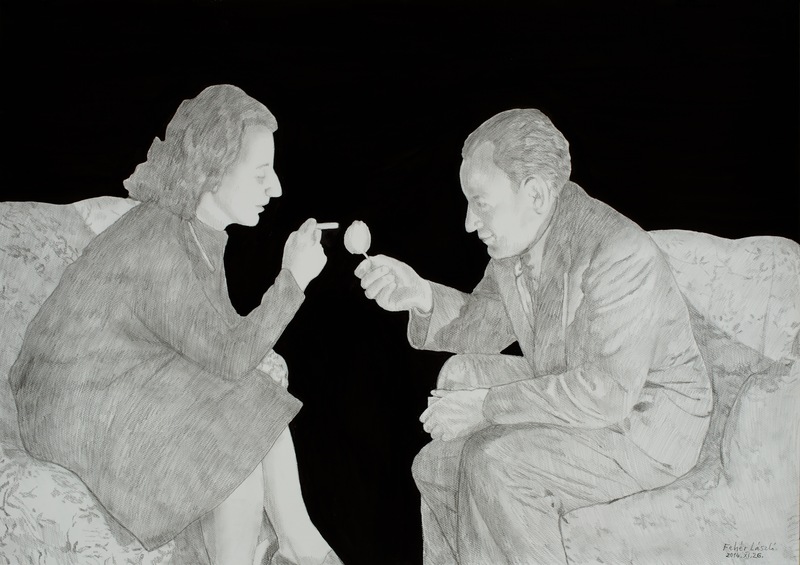 1953): Light Giver II, 2014. Pencil and ink on paper, 75 x 105 cm. © László Fehér. IRA: What’s the most engaging aspect of your new graphic series at the Platán Gallery in Budapest? LF: My wife’s uncle invited us to a family gathering and during a conversation someone related a story that they’d kept secret for decades, they considered such things taboo and never talked about it. But now to our surprise we learned that Mengele, the infamous Nazi doctor, had experimented on our host’s mother in the concentration camp in Auschwitz back in the forties. Then in 1945, and this was something of a miracle, barely thirty kilos and tormented, she managed to come back to Hungary, and she was convinced that after the inhuman experiments and other tortures she’d suffered she could never have a child. Meanwhile, my wife’s grandfather, József Kardos, had come back from forced labor to learn that his wife had died in a concentration camp, and he found himself alone with his daughter, who was eight at the time. Kardos met and subsequently married Júlianna Kerényi, who accepted, among other things, because thanks to the little girl, their marriage would not be childless. Then a couple of years later a miracle occurred. Júlianna Kerényi became pregnant and gave birth to a beautiful, healthy boy, Jancsi. Having heard the story, I asked Jancsi if he could show me pictures of his mother, himself, and his childhood years. That’s when I was given a couple of photographs from the fifties. These photographs carried a special aura because they were idyllic; they were taken a couple of years after the war and you couldn’t help but think that time was attempting to heal incurable wounds. I drew these situations with pencil and the backgrounds of the figures with black India ink, thus indicating the intangible black void that contains suffering and mortality, but also the will to live. I chose an HB pencil to draw the pictures because its hardness produces the same effect as when you enlarge a picture and the image first appears in the developer. At that point the image is much sharper than in real life. It was my way of depicting the process of remembering. This is how the pictures of my recent exhibition at the Platán Gallery were born. László Fehér (Hungarian, b. 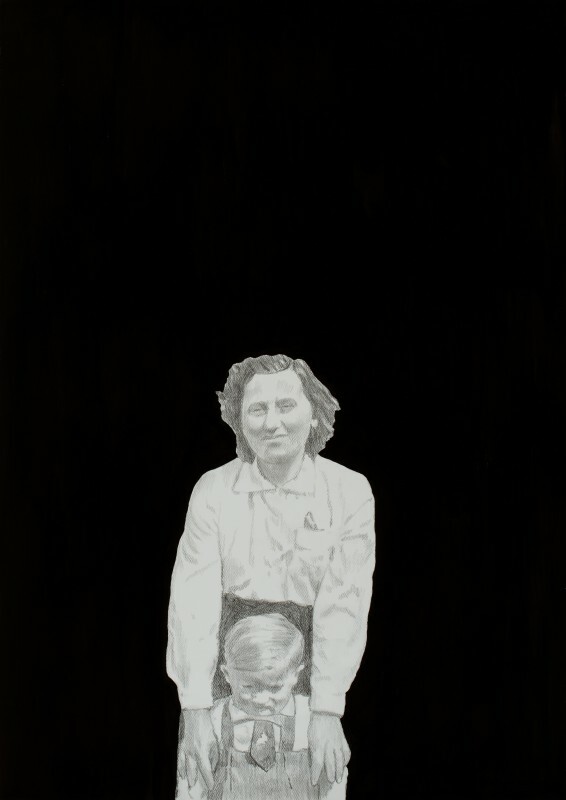 1953): Julianna and Jancsi (Mother and her Son), 2014. Pencil and ink on paper, 105 x 75 cm. © László Fehér. IRA: Where can viewers experience your work? Will your work be available to viewers in the US, Canada in the foreseeable future? LF: I will have a one-man show here in Hungary in June, and in September I will have my own exhibition in Vienna. My works will also be on display at an exhibition of Nancy Goodman Brinker’s collection at the Boca Raton Museum of Art. Several private collections also contain my works, from Los Angeles to New York, and two of my paintings are on deposit at the Art Gallery of Ontario, Canada, thanks to Andrew Sarlós. IRA: Is there anything that you would like the viewers to know? Remember the silent, sullen landscape? The prayers in the ghetto, remember? the yellow star hidden underneath? as long as you remember – so long shall you live. This is the first of more artist Q&A interviews we will be presenting. We welcome and encourage your comments. (Lot 87) Ed Moses (American, b. 1926): Nambe #8, 1987-97. Oil and acrylic on canvas, 72 x 60 inches. Signed and dated in ink on verso. Provenance: Brian Gross Gallery, San Francisco; LA Louver, Venice, CA, tag on verso. © Ed Moses. 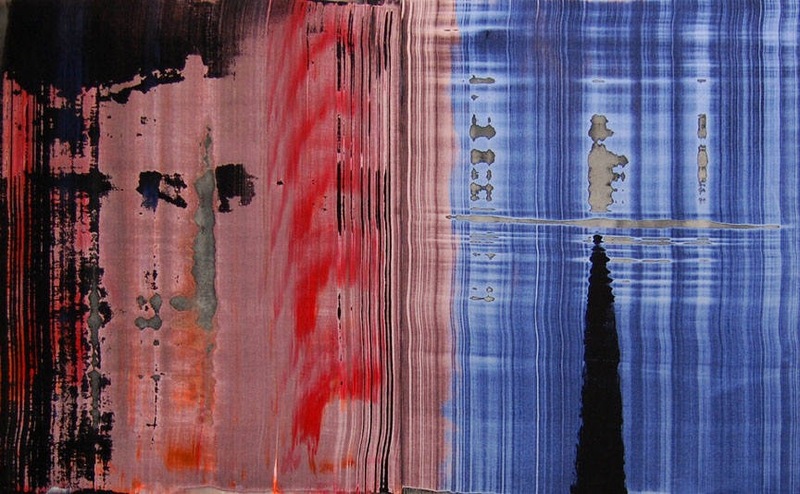 Ed Moses is premier among the Southern California postwar abstract painters. 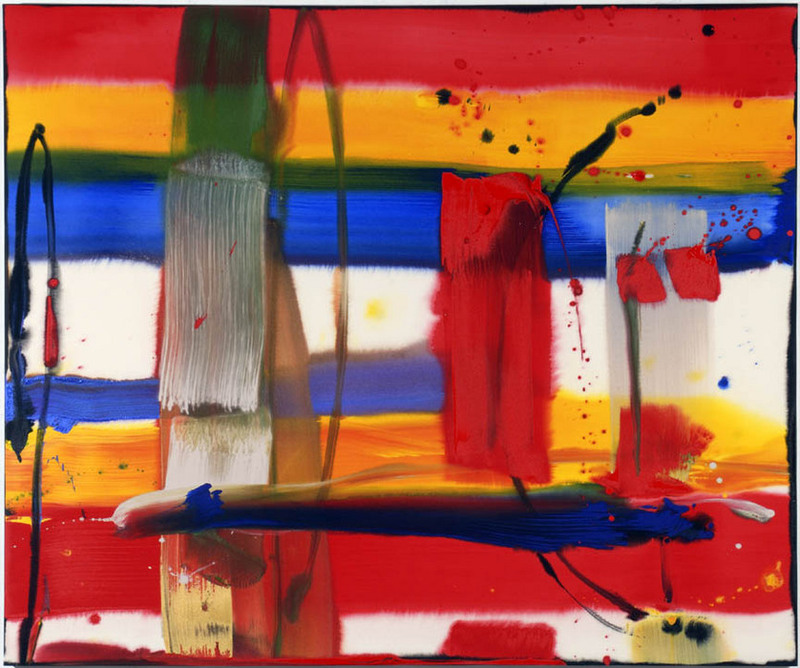 He was among the first generation of artists to exhibit at L.A.’s legendary Ferus Gallery in 1957. At 90 years ‘young,’ he shows no sign of slowing down in a most notable career. Clement Greenberg solidified his modern art historical status in his review of Moses’ solo NY show in 1973. 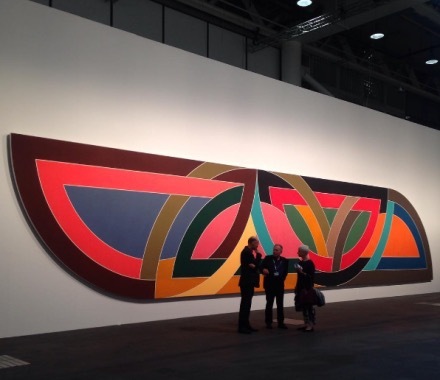 Ed Moses continues to work and exhibit worldwide. 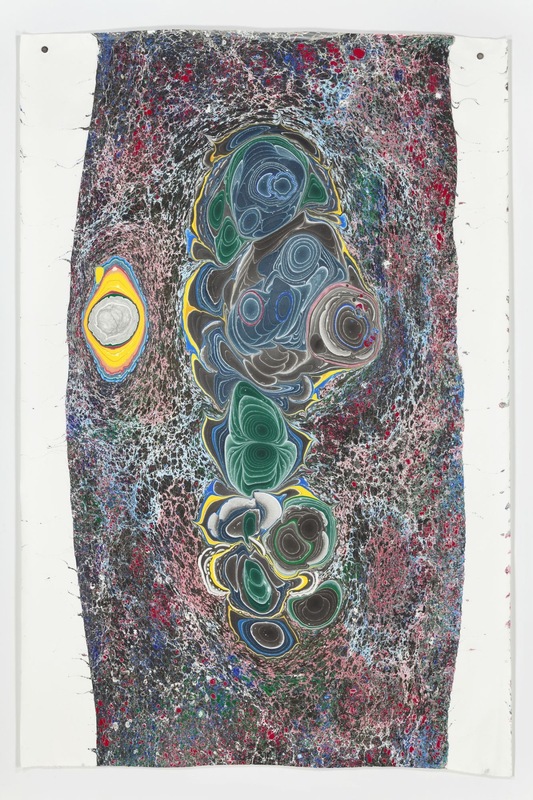 The William Turner Gallery took over the former Santa Monica Museum to mount “Moses@90,” a survey of his works spanning six decades, which will remain on view through June 25th. Ed Moses (American, b. 1926): #1 (Sink), 2004. Pigment print on Epson Ultrasmooth Fine Art paper. Paper: 43-1/2 x 63-1/2 inches (110.49 x 161.29 cm), Image: 40 x 60 inches (101.6 x 152.4 cm). 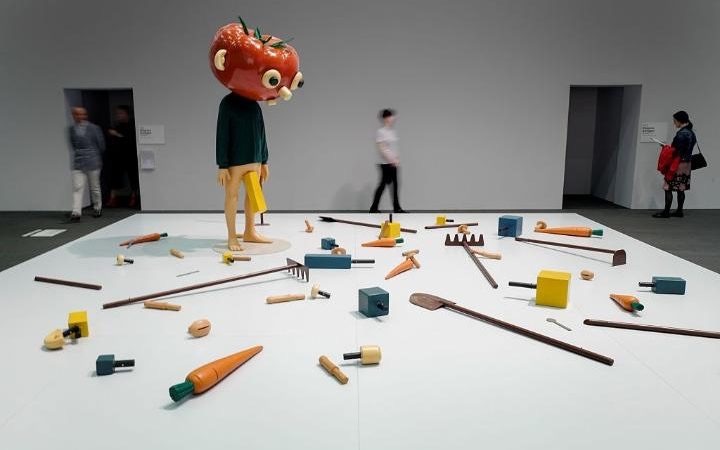 The Museum of Contemporary Art, Los Angeles, CA, USA. © Ed Moses. Ed Moses (American, b. 1926): A-1, 2007. Acrylic on canvas, 60 x 72 inches. © Ed Moses. Photography: © Alan Shaffer. Ed Moses (American, b. 1926): Chosp, 2008. Acrylic on canvas, 60 x 96 inches. Private Collection. © Ed Moses. Ed Moses (American, b. 1926): Gacos, 1988. 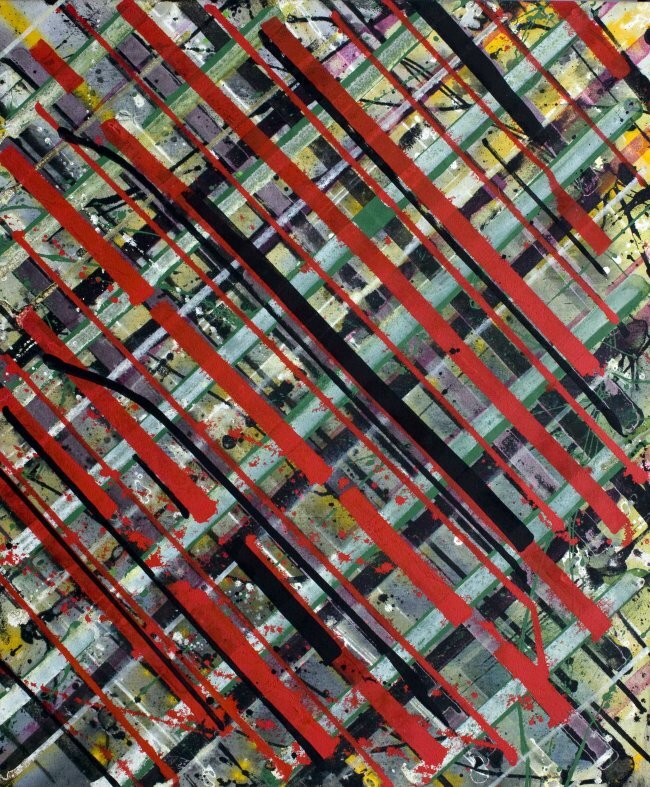 Oil and acrylic on canvas, 198.12 x 167.64 cm. 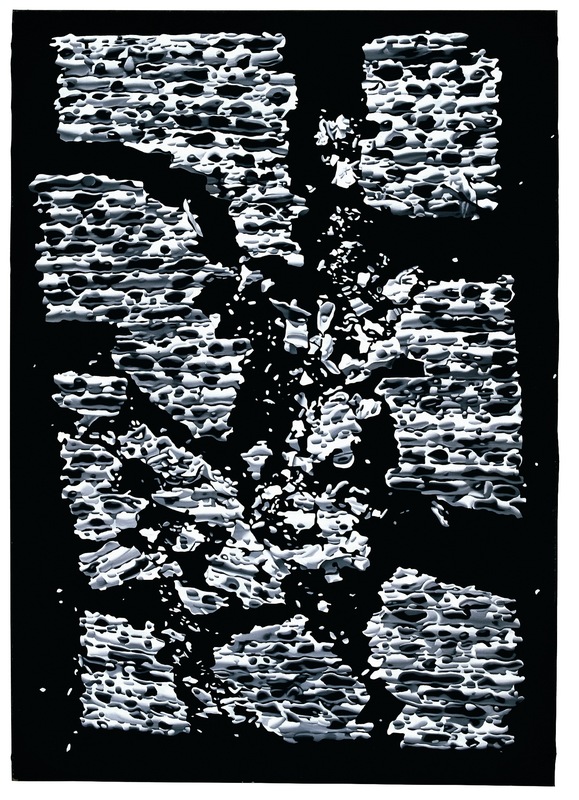 (78 x 66 inches). © Ed Moses. Ed Moses (American, b. 1926): Zook #4, 2005. Acrylic on canvas, 72 x 60 inches. © Ed Moses.